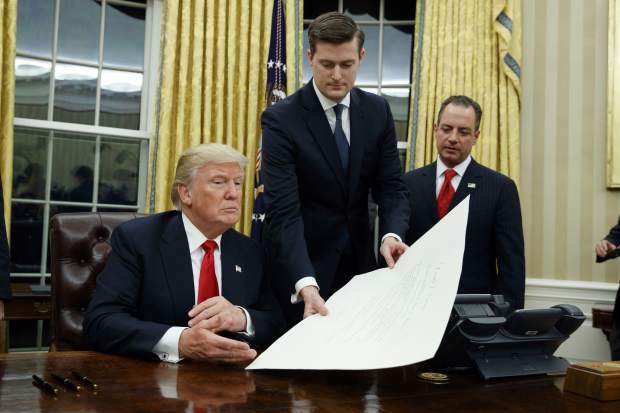 WASHINGTON — One of President Donald Trump’s top White House aides resigned Wednesday, Feb. 7, following allegations of domestic abuse leveled against him by his two ex-wives. Porter, 40, has been credited with working with chief of staff John Kelly to control the flow of information to the president. His influence growing in recent months, Porter was often seen with Trump when the president traveled and as he signed legislation or proclamations. He helped craft Trump’s well-received State of the Union address and was credited internally for helping bridge divides in a White House riven by rivalries and for helping more effectively roll out new policy.